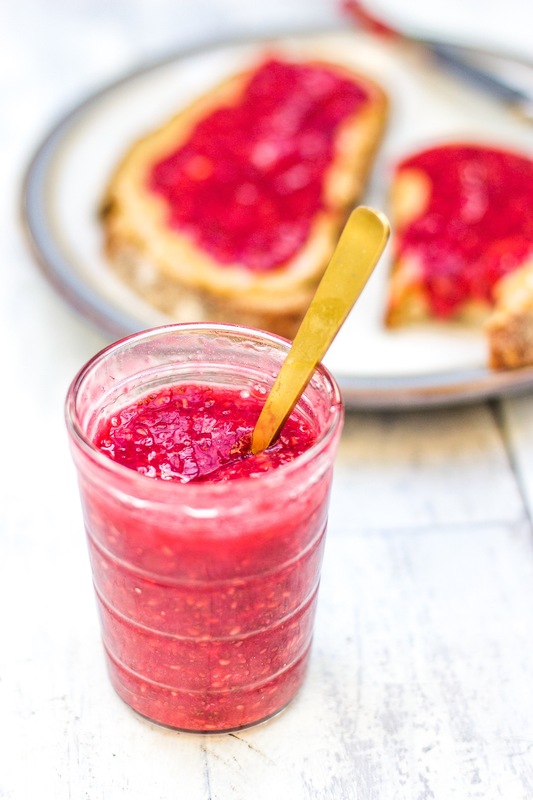 This Raspberry Chia Jam is so quick and easy and it’s the best topping for porridge, toast and pancakes or use it to make chia jam overnight oats. I also love adding it to smoothies. The chia seeds make it gorgeously thinks well as adding a serious boost of omega 3s. It keeps for 1-2 weeks in the fridge and can be frozen. Add the raspberries to the food processor and blend until smooth. Add the chia seeds and sweetener and blitz. Let the mixture rest for about a minute to allow the chia seeds to swell a bit, then blend it again. Pour the mixture into your jar and leave it to sit for a few minutes. Give it one last stir, then pop it in the fridge to thicken even further. 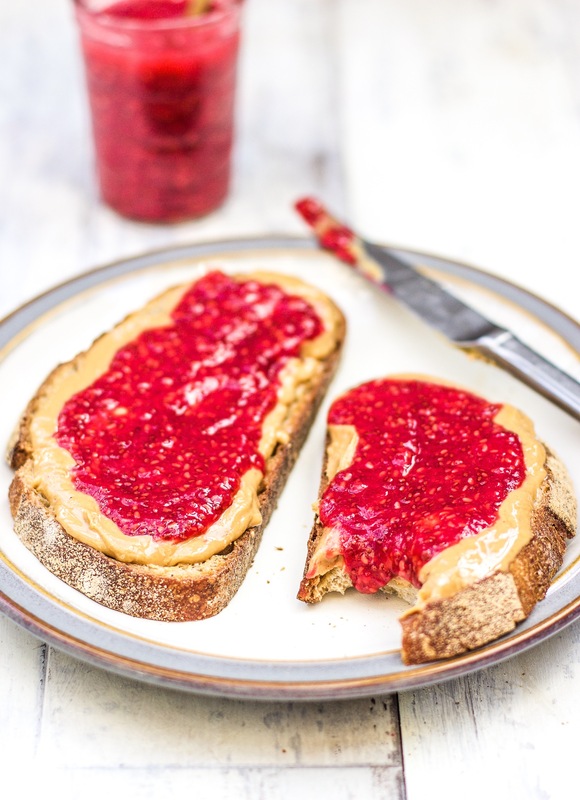 I have always wanted to try chia seed jam! This looks amazing! Going to try this tomorrow! How long dies it last in the fridge? This looks amazing! How long will it keep in the fridge for?